Bonneville Speed Week – as already announced, Indian wanted to pay tribute to the 50th anniversary of Burt Munro’s land speed record. For the tribute race an Indian Scout of 2017 was modified correspondingly. The name Spirit of Munro Scout. Pilot, the great-nephew of the legend, Lee Munro. The goal was to reach the record of then, 184 mph. 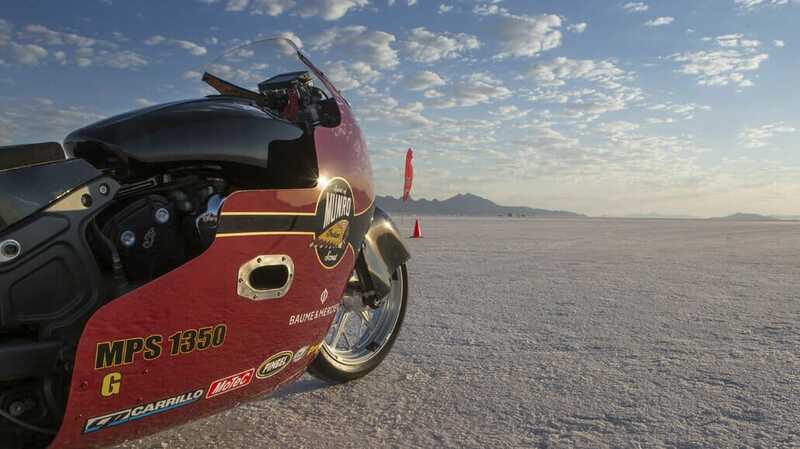 The test runs at El Mirage have already reached 186,681 mph. For Bonneville the goal was set to 200 mph. The first two runs were 191.28 mph, but that was also the fastest time. The conditions were too bad and allowed no better time.